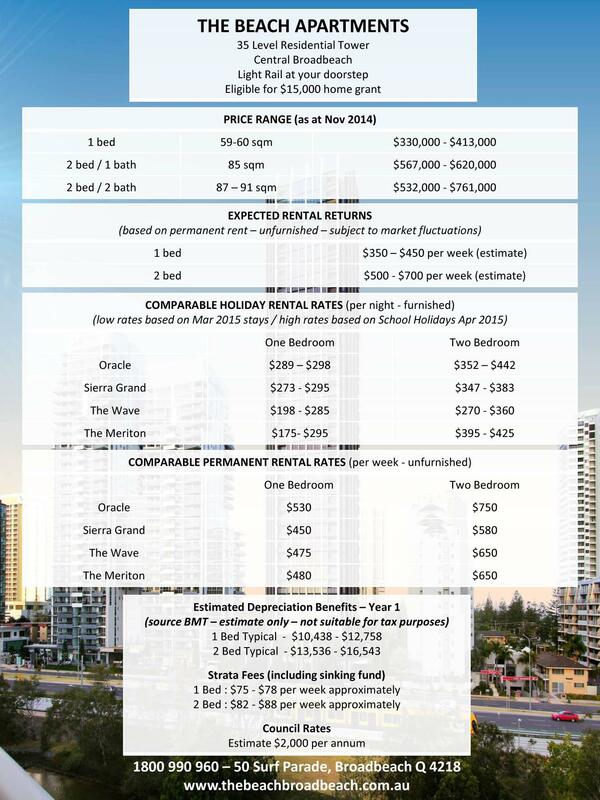 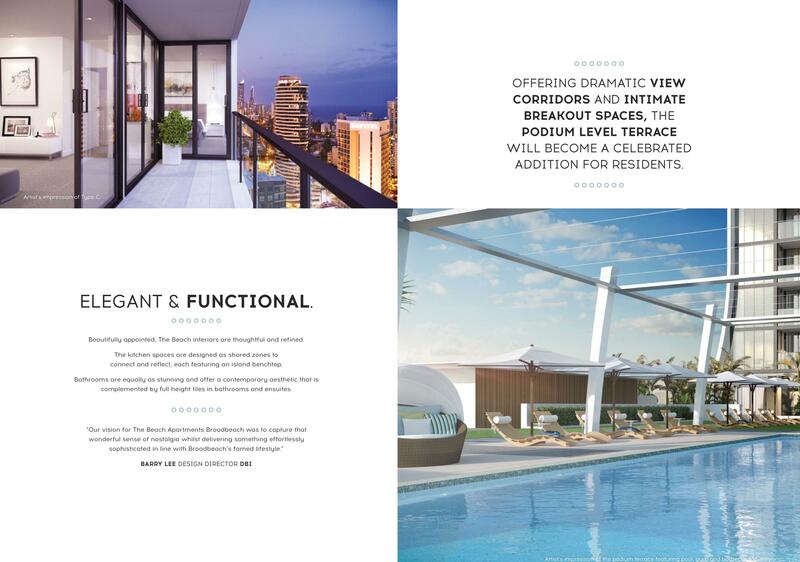 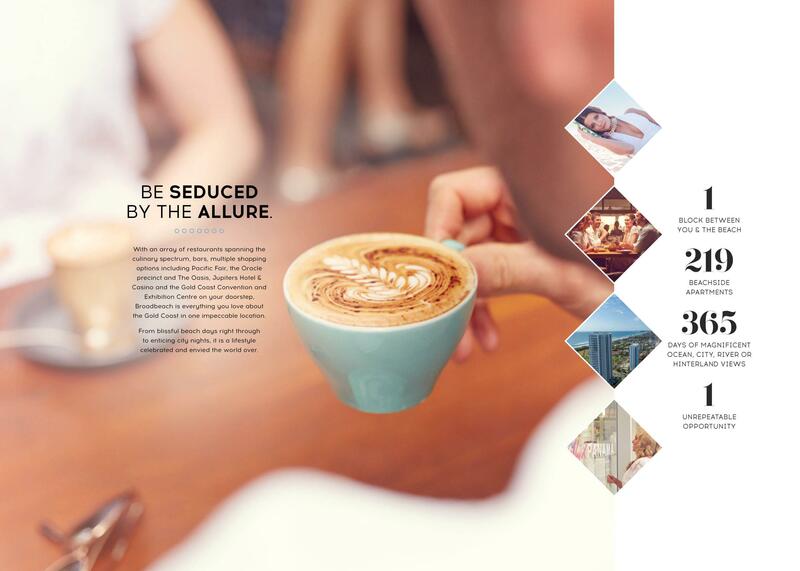 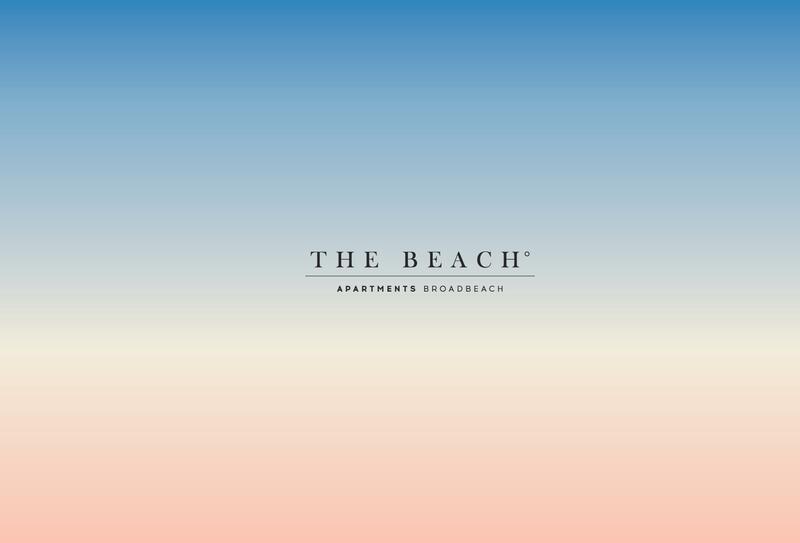 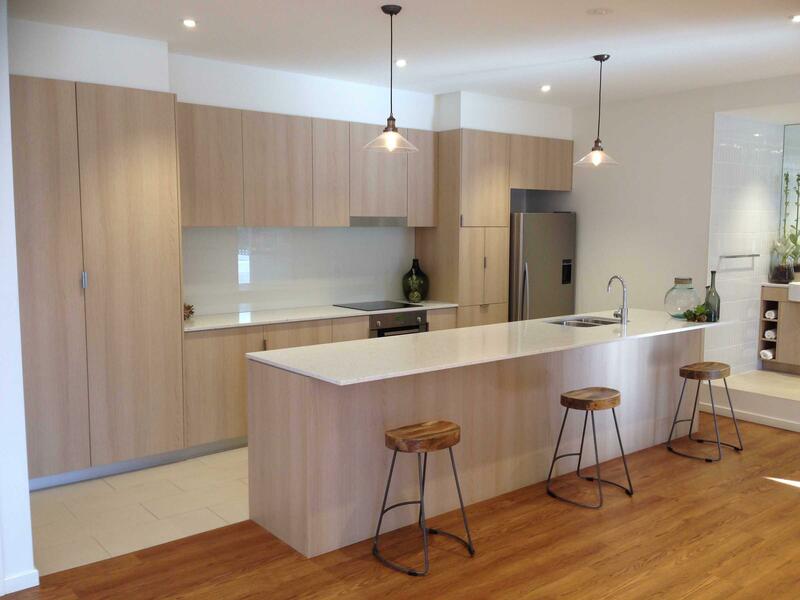 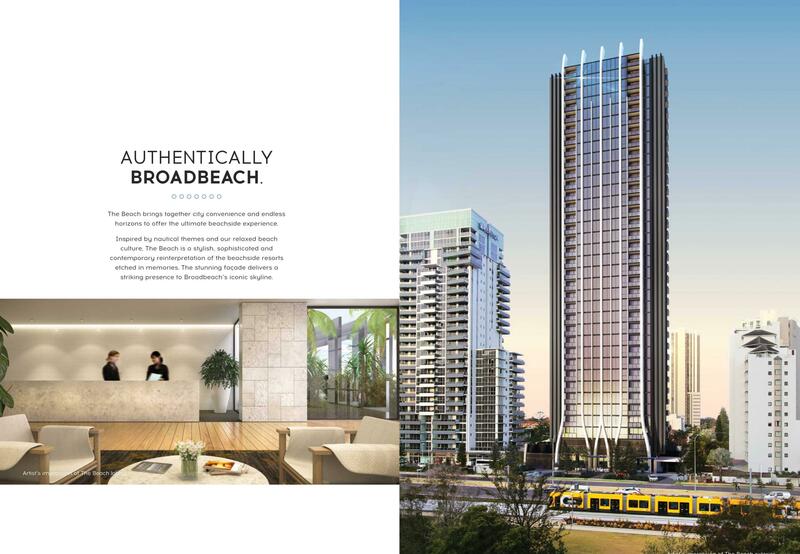 Located on the Gold Coast's luxurious beachside location of Broadbeach, The Beach is a collection of 219 1 and 2 bedroom apartments spanning over 35 magnificent levels. 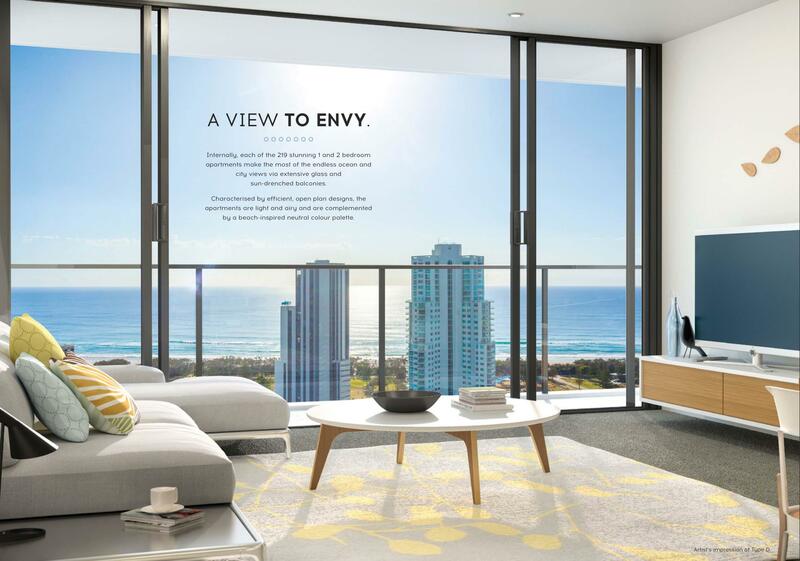 Offering a unique blend of city convenience and coastal bliss, with the best alfresco dining precint just 100 metres away, these stunning apartments present a golden opportunity for a holiday home to astute investors. 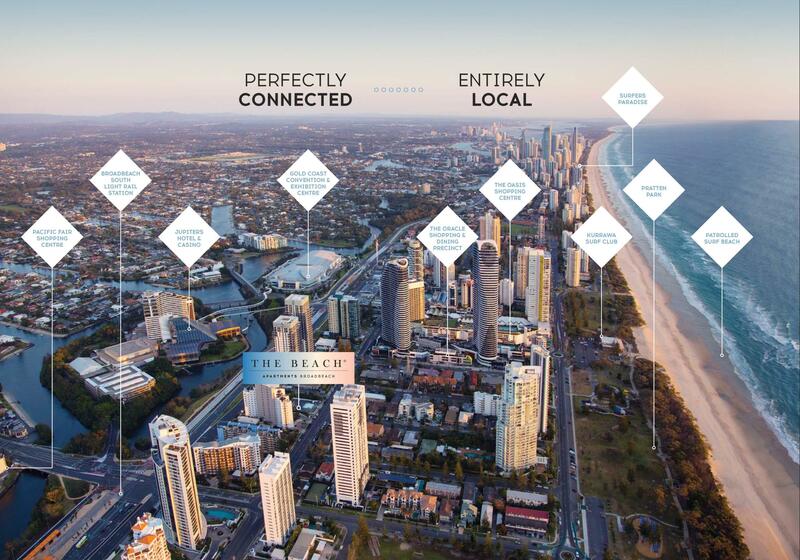 Adjacent to the light rail and a short walk to Jupiters Casino, Pacific Fair Shjopping Centre, and the golden sands of the surf beach, The Beach is ideally placed in the heart of Australia's number 1 tourist destination. 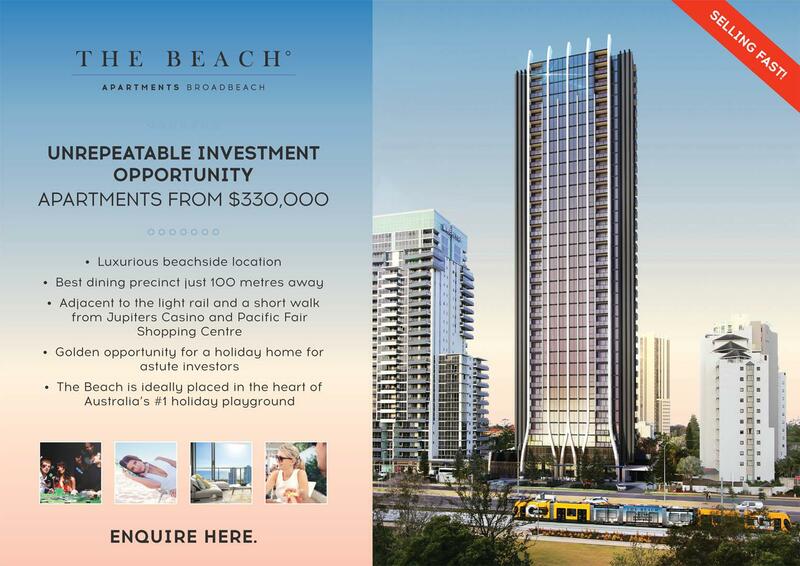 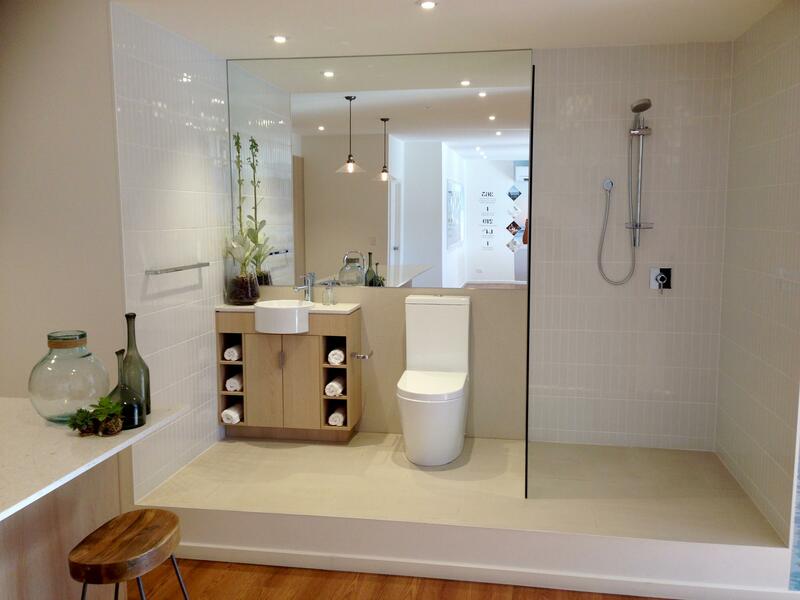 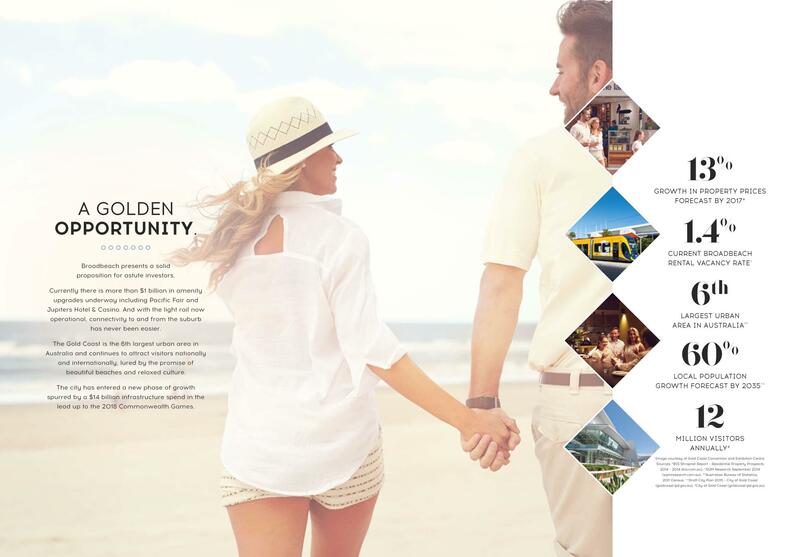 For full details and brochure contact Jamie McDonald on 0404 85 95 85 or wechat Jamie-mac.